Our cooling lubricants are made from high-quality raw materials to innovative formulas. We provide more than one hundred standard and specialist products for a multitude of applications in the metal- and glass-processing industry. Regardless of whether you are grinding, turning, drilling, milling, honing or reaming – Oemeta has the right solution for you. Our experienced staff will assist you in selecting the right products. The correct handling of coolants ensures a long sump life, decreasing consumption and therefore lower costs for top up quantities and disposal volumes. In the following category you will find information that describe the correct handling of coolants and help you to extend the sump life of your applied products. Furthermore, we would like to inform you here about topical law amendments, standards and guidelines that affect you as a user of water-miscible metalworking fluids. Our cooling lubricants come from the North of Germany; our clients are from all over the world. We are an international company – with seven subsidiaries and over 30 distributors. We believe we can only fully guarantee consistent product quality and the best customer service by offering them by our local representatives. At Oemeta, all our employees are on the same wavelength. We value teamwork, flat hierarchies, open communication and a good working atmosphere. We support the professional and personal development of our employees. All ‘Oemetans’ are specialists in their fields who continuously improve our products and contribute to our corporate success. With Oemeta, you have at your side an owner-managed company based in Uetersen, near Hamburg. Innovating ideas run in our family. For 100 years, we have been developing, producing and delivering high-quality lubricants for processing metal, glass and ceramics. As ‘The Coolant Company’, we specialise in water-miscible coolants, and we provide individual, tailor-made solutions for your business all over the world. 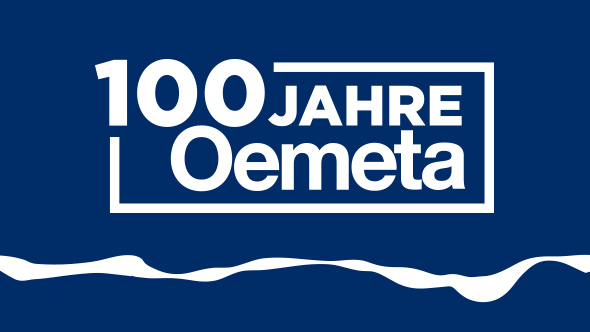 Oemeta stands for products "Made in Germany". Oemeta came into being during an eventful period in European history. In 1916, at the height of the First World War, we started production in Berlin of ‘drilling oils’ for metal working, as they were then known. Today Oemeta is a market leader of industrial lubricants with subsidiaries in the USA, Canada, China, United Kingdom, India, Poland and Czech Republic as well as sales partners in more than 30 countries. Innovation, future-oriented technologies and a distinctive orientation to the customer made us one of the market leader of this technology. Here you can find our contact information and the addresses of our subsidiaries and foreign distributors.